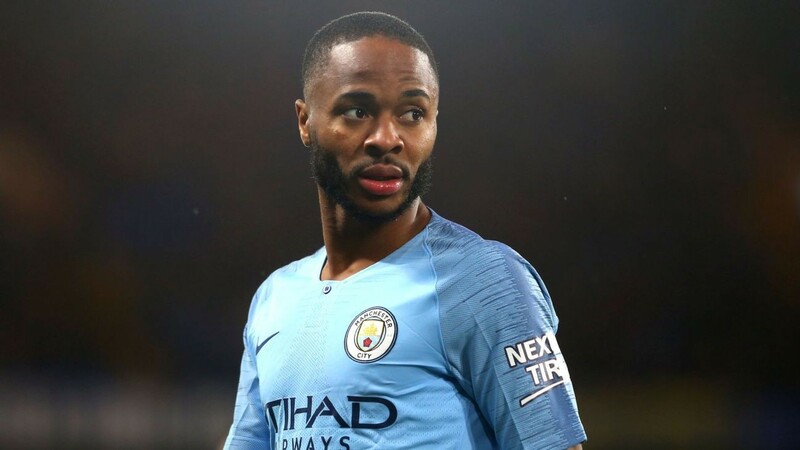 LONDON -- Metropolitan Police have confirmed they are reviewing footage that allegedly shows a Chelsea fan directing racist abuse at Manchester City forward Raheem Sterling during Saturday's Premier League match at Stamford Bridge. The video, which was widely shared on social media during the game, shows a Chelsea supporter hurling what is claimed to be a racist insult at Sterling as the England international retrieved the ball from just beyond the byline. No arrests have yet been made, but a police statement read: "We are aware of a video circulating online in which it is claimed racial abuse was allegedly directed at a player at a Chelsea v Manchester City game at Stamford Bridge on Saturday 8 December. Metropolitan Police said they are reviewing footage of alleged racial abuse against Manchester City star Raheem Sterling. Chelsea will also investigate the incident, reviewing CCTV footage and collecting witness statements from security and stewards to determine the precise nature of what was said to Sterling, as well as whether the supporter in question is a club member or season-ticket holder. If he is found to have racially abused Sterling, Chelsea said the club would issue a life ban against the person. A club spokesman said: "We are aware of reports of video footage. We will investigate the matter and take the strongest possible action if necessary." Chelsea won the match 2-0, with goals in each half from N'Golo Kante and David Luiz, dealing City their first Premier League defeat of the season.